Microsoft recognizes HIPAA One as the software market leader and prioritizes security of Protected Health Information. In their newly updated whitepaper, Microsoft and HIPAA One provide detailed instruction on configuring Microsoft Windows 10 Enterprise in a manner that maintains the security of Electronic Protected Health Information (ePHI) in accordance with HIPAA and the Internet of Things (IoT). Over the past year, HIPAA One and Microsoft have worked closely in an effort to recognize and mitigate emerging cyber threats and support Microsoft’s ongoing investment in security and privacy technologies. As a result, Windows 10 Enterprise includes deep architectural advancements for the protection of ePHI, an essential safeguard for achieving HIPAA compliance. “Some of our healthcare IT clients have wondered if an upgrade to Microsoft Windows 10 from Windows 7 will open the door to HIPAA violations,” says Steven Marco, President and Founder, HIPAA One. In the healthcare community where cybersecurity, privacy, and compliance can make or break an organization; Microsoft recognizes the importance of supporting these communities by designing software and cloud services to be flexible, secure and to meet regulatory compliance mandates. “We took the Windows 10 Enterprise operating system, analyzed it, configured it in a lab repeatedly and measured cloud exhaust until we were assured no ePHI would be released. Since the Fall Creators Update, Microsoft cut their Diagnostics Data at the Basic level in half to ensure ePHI would not be released by Windows 10 when configured properly," said Marco. Windows 10 Enterprise is highly-evolved with a built-in, deep-level security architecture balanced with industry-leading compatibility to drive improved user productivity. Threat, Identity, and Information protection risks are significantly reduced by simply by using Windows 10. The revised whitepaper, HIPAA Compliance with Microsoft Windows 10 Enterprise is available now. Contact Us today to learn how the HIPAA One Security Risk Analysis and Privacy & Breach Notification Risk Analysis Software platforms will enable your organization to appropriately safeguard protected health information. 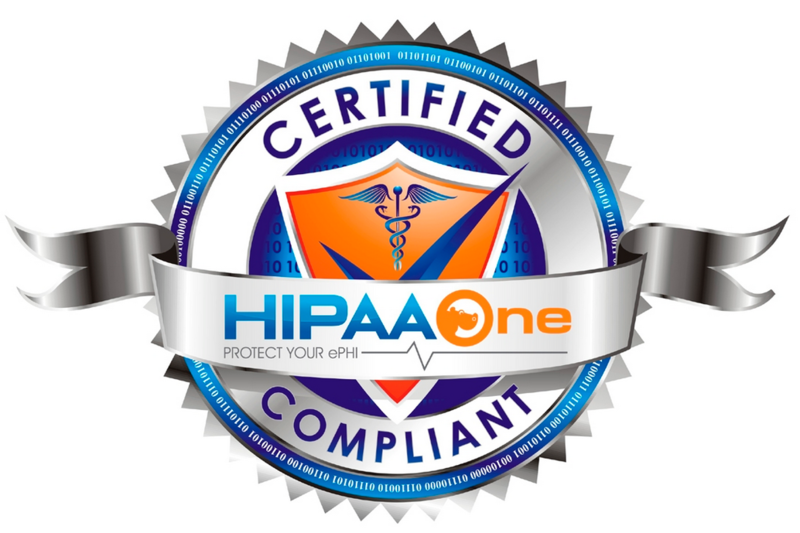 HIPAA One Certified Compliant SealProof that an organization conducted a HIPAA Compliance Gap Assessment and Security Risk Analysis HIPAA One Risk Analysis Software OverviewMaking HIPAA Risk Analysis simple, automated and affordable.